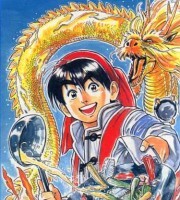 CMB or Cooking Master Boy is also known as Chuuka Ichiban! or China’s Best. A few months ago, I was able to download the Cantonese-dubbed fansubs brought to us by anime-keep. What makes CMB so amazing? The Story, The Character and even the Theme discussed. The Characters – taken from the same site. The 13 year old protagonist of the story. Mao basically grew up in the kitchen watching his mother cook in her restaurant. Due to this, he grew up learning his mother’s cooking skills and also ended up with the same love for cooking his mother had. Mao didn’t cook much and everyone just thought of him as a kid who just played around and didn’t even know how to cook. It wasn’t until his mother’s restaurant was in jeopardy that he decided to cook. To everyone’s surprise, Mao was a genius chef. Seeing his talent, General Lee sends him on a journey to become a Super Chef. Eventually, Mao becomes the youngest Super Chef in history and decides to travel the country even more, so he can learn more about cooking techniques. The 16 year old daughter of Chouyu. Originally, she was a helper at the Yang Spring Restaurant. She fell in love with Mao after seeing how much he loves cooking and how he also cares about others. She only knows a little about the cooking field, but she’s useful when it comes to little facts and often tries to help Mao. After finding out that Mao was leaving the Yang Spring Restaurant to travel China, she was heartbroken since she thought that she could live a life with him. She eventually made up her mind and decided to also leave the restaurant, in order to travel with him (In the manga, she did not accompany Mao in his journey around China). Mei often gets into arguments with Shirou and always ends up slapping or hitting him. She also gets very jealous every time another woman gets near Mao. Although, she says that her number one rival for Mao’s heart is his love for cooking. She’s a spitting image of her deceased mother, Meika. For the other characters, you may read wikipedia.com . The most entertaining part of this anime is the fact that it only talks about food, food and more food. You can actually learn how to cook a certain Chinese cuisine if you watch this anime. It is not as flashy and magical compared to other animes except for some exaggerated cooking techniques. Violence? Not really. 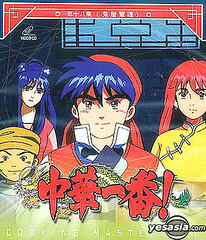 Violence in this anime is defined as “Cooking Battles” as they compete for the title “China’s Best”. Here you can find topics like “Noodles…but not noodles” or “100 dishes in 3 hours”. It is also in this anime that I learned how to correctly pronounce siomai (siu mai) and many other things. So what are you waiting for? Get a copy now!